Difference Between Good Debt and Bad Debt! What is Good Debt vs. Bad Debt? Typically, the thought of incurring "more debt" conjures up negative images of mountains of bills and mounting stress! Hold the phone!! It doesn't have to be that way. There are actually good debts and bad debts. While the idea of having "good debts" seems like an oxymoron, there really is such a thing! Here's why. Smart borrowing and leveraging your money can actually be very wise financial moves. We are experienced mortgage advisers who can counsel you on whether incurring "good debt" can help you reach your personal financial goals! No Obligation. Free Expert Advice. DEBTS: The Good, The Bad... and the Misunderstood! Good debt creates value and the possibility of future financial gain. Essentially, it may have the potential to build your wealth. For instance, a home mortgage, a business loan or a student loan could prove to be "good debt" over the long run. Generally, speaking, taking out a reasonable loan for: real estate purchases, to increase the value of your home, to enhance your earning potential or to eliminate high-interest consumer debts...could be considered "good debt." For example, it may be wise to get a home equity loan to pay off credit card balances at 17 percent with a 6.5 percent interest home equity loan-that may even be tax deductible. Taking on certain tax-deductible loans that also allow you to invest wisely and consolidate costly consumer debt can help increase your net worth! Remember, the growth of your money is determined by your net worth-ox the difference between your assets and your liabilities. "Good debt" and "leveraging your money" can help build assets that may later produce income or add to your personal wealth! So If That's "Good Debt," What's "Bad Debt"? Bad debts are generally those that drain your finances without providing future value. "Bad debts" are more likely to risk your credit rating. Bad debts include financial liabilities that you've taken on which you probably can't afford and/or really don't need. Typically, the least desirable form of debt is credit card debt, since it usually carries the highest interest rate for purchases that will likely lose their value. Turn your bad debts into good debts! The problem is that most people are just not organized enough to distinguish between good and bad debt. If your savings and investments are growing... and your bad debts are growing at the same time, you're not making much headway! Too often borrowers or credit card users aren't prepared to retire balances before the due dates-and don't project the long-term cost of their bad debts. We can help you stay in control of your finances!! The good news is that we may have a way to turn your bad debts into good debts! You might want to compare what you'll spend on a loan versus what your money could earn if it were invested. 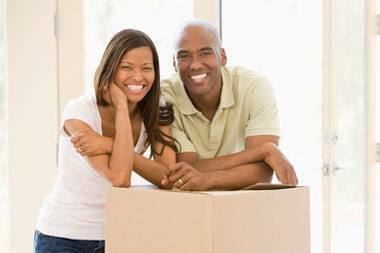 With the right loan, we can help you take steps to help you build your wealth. We think you'll agree that it's really exciting to think of all the possibilities!! Remember, the only goal you'll never reach is the one you don't aim for! Give us a call today!! And get a real tailored answer from a professional! The premier mortgage broker in the Northeast serving New York and Pennsylvania.